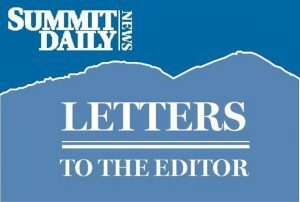 Ironic that on the same day, several letters to the editor in the Daily condemned Councilwoman Erin Gigliello for Backstage Theatre’s satirizing a politician, said politician Trump threatened to revoke security clearances of former top-level security officials because they dared criticize his wimpy performance in Helsinki with Russia’s Vladimir Putin. Remember when a big complaint of candidate Trump and followers was that everyone had to be “politically correct” in recent years? In fact, Trumpers loved the fact that he said whatever he thought, no matter whether it offended anyone; and claimed that was one trait that would “make America great again”. You dare to criticize him for kowtowing to a murderous dictator (actually two of them, counting North Korea’s), you lose your security clearance! Trump is constantly whining about somebody out to get him: the media (“fake news”), the Democrats, some Republicans, the FBI, intelligence community, etc., etc. As Harry Truman, a president who was not a whiner, said: “If you can’t stand the heat, get out of the kitchen.” Compare that with Trump saying, “I’ve been treated more unfairly than any president in history.” Boo hoo. You wanted the job of president; get used to being criticized. If you can’t handle it, do us all a favor and resign. As for followers of the dear leader, let me get this straight: you believe there’s too much political correctness when anybody else is in power; but when it’s Trump (and you, by extension), nobody should dare criticize him. Is that correct? Sounds like a cult or dictatorship to me. I remember when I had my young children in Summit. All the young families, after a hard day in the tourist industry, would take our families and blankets to the Dillon Amphitheater to listen to music and dance under the stars with the little ones. It was phenomenal. Slowly, some people started bringing chairs to the concert early to “reserve” their spot and we have tried to be respectful. Some people don’t have to work all day so have time to place chairs. As this practice has increased, it has gotten completely out of control. This is not how free or pay concerts work. You want to save a place, you stay at that place. It is ironic that you see others actions as rude but don’t perceive that you may be the problem. Often, in the middle of the concert, you can still see plenty of “arranged” seating with no one sitting there. If you aren’t using the spot, it is not yours just because you put your chair there. If you want to save a spot, sit in it. I may not move your chair, but I hope Dillon will close the music arena until an hour before to end this practice. If you find someone in “your” spot, understand they are using a space you had no right to “arrange” to be yours or “reserve” at a free event.